Ukip leader and Stoke by-election candidate Paul Nuttall has failed to turn up for a hustings just a week before the vote, amid ongoing controversy over claims surrounding the Hillsborough disaster. Ukip MEP Patrick O’Flynn appeared to stand in for Mr Nuttall alongside the other candidates, which include Labour’s Gareth Snell, Conservative Jack Brereton and Lib Dem Zulfiqar Ali. The Independent understands Ukip headquarters were unaware of Mr Nuttall’s absence at the event. In a statement, Ukip said: “Mr Nuttall is taking part in this evening’s BBC Radio Stoke hustings, and is, has been and will continue to be talking to media and the people of Stoke Central. 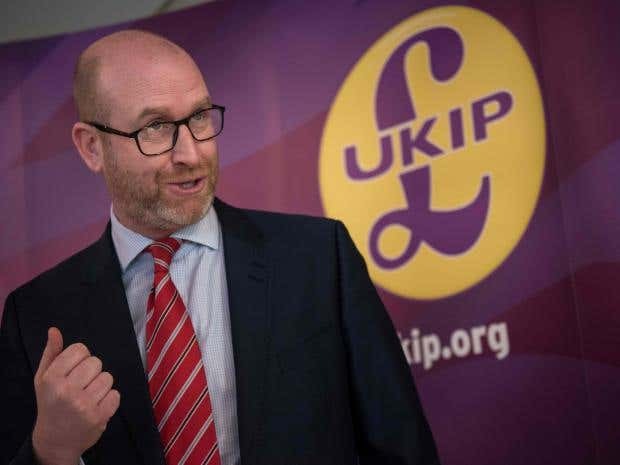 It comes after the Mayor of Liverpool called on Mr Nuttall to resign as an MEP for the North West of England after he admitted claims on his website about losing “close personal friends” in the Hillsborough disaster were untrue. Joe Anderson said the city “would not tolerate” anyone trying to exploit the tragedy in which 96 Liverpool football fans died after been crushed and trampled in the away end of Hillsborough stadium in Sheffield in 1989. He said Mr Nuttall should “explain himself to the people of Liverpool” rather than seek to become the new MP for Stoke-on-Trent. Mr Nuttall seems to have gone quiet in the wake of the controversy. His website has been taken offline for “scheduled maintenance” and his Twitter account has been silent since Monday. The Ukip leader has attracted fierce criticism for claiming he was a Hillsborough survivor, despite a teacher at his school at the time and members of the Hillsborough Family Support Group saying they had no recollection of him attending the match. Mr Nuttall has continued to insist he was there, but said that a claim on his website that he had lost “close personal friends” in the disaster was untrue. He clarified that he had lost “someone he knew” and said the claim had been put on his website without his knowledge. His long-serving press officer, Lynda Roughley, offered to resign over the scandal – taking full responsibility for the claim and saying, “Paul is a man of great integrity and would not say something he knew to be untrue”. This entry was posted on 16/02/2017 at 18:14	and is filed under UKIP. Tagged: GL-W, Greg Lance-Watkins, Greg_L-W, Hillsborough Lies, Liverpool Mayor, Lynda Roughley, Patricl O'Flynn, Paul_Nuttall, Stoke Bu-election, Ukip Pond Life. You can follow any responses to this entry through the RSS 2.0 feed. You can leave a response, or trackback from your own site.